According to the team, increasing activity can improve health in sedentary people making them more active by controlling their blood sugar levels. Despite many people offering opinions about whether or not you should eat breakfast, to date, there has been a lack of rigorous scientific evidence showing how, or whether, breakfast might cause changes in our health,” said lead researcher James Betts from the University of Bath in Britain. The results highlight some of these impacts, but how important breakfast is still really depends on the individual and their own personal goals, Betts added. 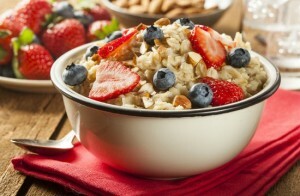 The team wanted to study the possible links between breakfast, body weight and health. In the study, published in the American Journal of Clinical Nutrition, researchers split obese individuals aged 21-60 into two groups fasting and breakfasting -- measuring several outcomes during a six-week period. The breakfasting group was asked to eat at least 700 calories by 11 a.m., which the first half of the group consumed within at least two hours of waking up. The fasting group was allowed only water until noon. For example, if weight loss is the key, there is little to suggest that just having breakfast or skipping it will matter. However, based on other markers of a healthy lifestyle like being more active or controlling blood sugar levels, then there is evidence that breakfast may help, Betts noted. It is important to bear in mind that not everybody responds in the same way to breakfast and that not all breakfasts are equal. The effects of a sugary cereal compared to a high-protein breakfast are likely to be quite different,” said Enhad Chowdhury, another researcher.